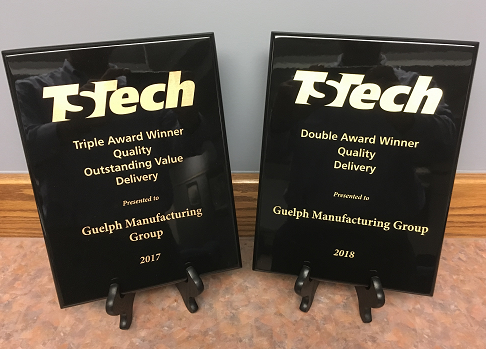 On May 18th, at the 73Ki TS Tech Supplier Conference, Guelph Manufacturing Group received the Double Award for Supplier Quality / Delivery. 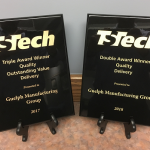 Among the double award winners, Guelph Manufacturing met and exceeded their Quality Index targets with zero quality & delivery issues. Guelph successfully supplied TS Tech throughout the year with zero “A” Ranks issued and understood both TS Tech’s Supplier Quality Manual and Packaging and Logistics guidelines. 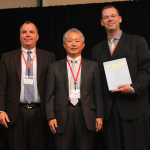 This is Guelph’s second year in a row winning an award from TS Tech and are looking to maintain a demonstrated level of excellence for years to come. Guelph Manufacturing Group supplies TS Tech and other large Tier 1 seating companies with automotive seat structure components, including head restraint armatures or stays, rear seat cushion wire frame assemblies, arm rests, stampings and seat back assemblies. 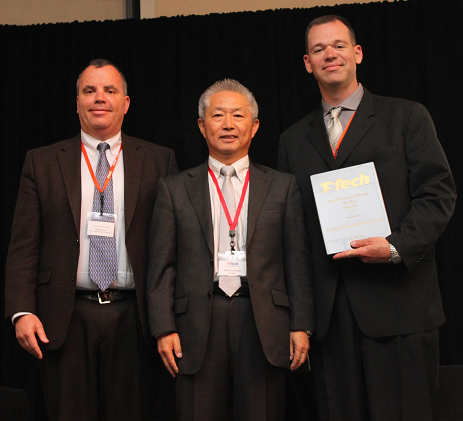 Guelph has manufacturing facilities in Ontario, Canada as well as Atlanta, Georgia and maintains warehouses in Warren, Michigan and Irving, Texas.